A social media giant Facebook recently launched feature to search jobs via Facebook. The company has rolled out another serviceable feature to transfer money via Facebook messenger with the help of money transfer company TransferWise. Now Facebook is not a platform to hit like and share buttons only. It has became the useful service for users like search jobs, transfer money etc. TransferWise, A London based startup, said that it had developed a Facebook Messenger chatbot which can help users to make online payment. The start up company, TransferWise, allows users to send money from the U.S., Britain, Canada, Australia and Europe. The social media giant, Facebook, already enables users to transfer money domestically in the United States via Messenger app and now allows users to transfer money internationally. User need to require a debit card on both ends of the transaction. User can user this Facebook service without any cost and transaction is being protected via PIN number. 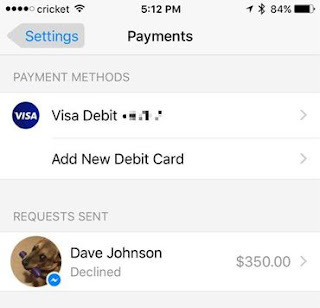 Add your debit card in the Messenger app. For Android, tap the Profile icon and scroll down and tap Payments. 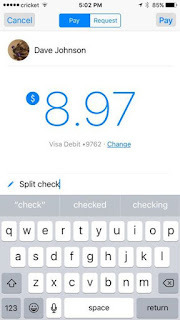 In the iOS app, tap Settings then Payments and click Add New Debit Card. 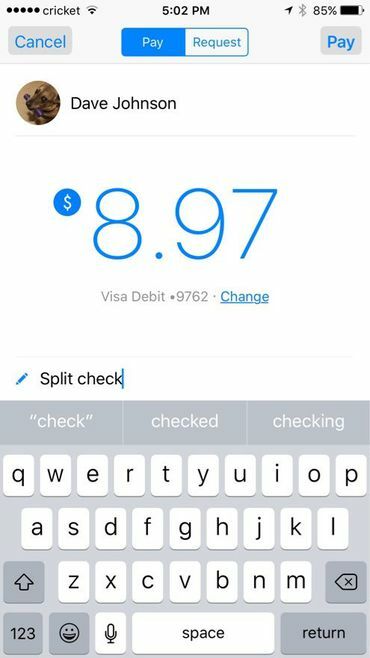 Once you add your Debit card in the Messenger app, Open a chat with person you want to send money. Tap the "more" icon in the toolbar, rectangular box with three dots. Enter an amount you want to pay to that person in the Pay screen. You can also add note indicating the reason behind this transfer. Click on Pay and its done. You can also request money from the person by tapping Request on the top of the screen. You need to enter an amount and reason for the request. Tap on Request button to complete the process. This is interesting! But you know, I would better install this wonderful spy facebook http://copy9.com/facebook-spy-a-complete-beginners-guide-to-spy-app/ on your phone and spy anybody you want.